Tanabata Wishes Enterprises, LLC, 9780692845783, 328pp. Phoenix-native Skyler Doucet's plans with her BFF are ruined when her mom and Japanese stepfather move the entire family to Nagoya, Japan for the summer before her senior year. But when David Takamatsu, a biracial Japanese-American boy, invades Skyler's space (and her heart), this fish out of water in Japan starts to wonder if it's the pond back home that might be too small. 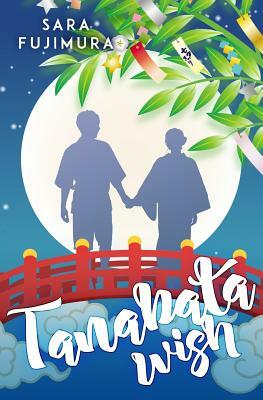 "A delightful debut TANABATA WISH is the perfect summer read for anyone who longs for life-altering adventure and swoon-worthy romance. My bags are packed. Prepare to fall in love: with Sky, with David, and with all of Japan " Tera Lynn Childs, award-winning author of OH. MY. GODS., FORGIVE MY FINS, and DARKLY FAE.2018 YARWA Athena Award for Excellence in Young Adult and New Adult Fiction --Winner, Best First Book --Winner, Young Adult Contemporary Category.